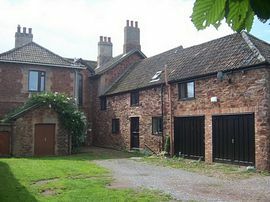 Crossmoor Meadows Cottage was originally the dairy and apple store, which was attached to our Farmhouse built in 1841. The cottage has been carefully restored and refurbished, to the highest quality with en-suite facilities. 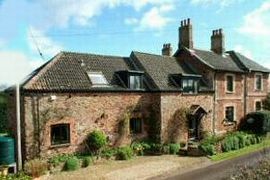 Situated near Bridgwater in Somerset, just outside the pretty village of Spaxton, at the foot of the beautiful Quantocks, with views across open fields to the hills. Just a few minutes drive from junctions 24 and 25 of the M5 motorway. 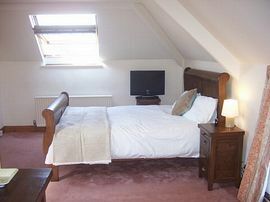 The cottage has 3 large bedrooms, which sleeps 8 (or 10 if using the sofa-bed). Two bedrooms have en-suite shower rooms and the other has its own bathroom. There are TVs in every bedroom with Freeview channels. In the lounge there is plenty of comfy seating, with an open fire. 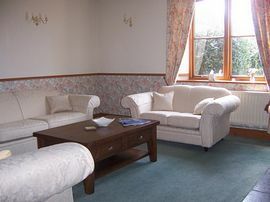 There is Satellite TV, DVD and video player, plus a selection of DVDs, videos and children's games. There are books and magazines, many about the local area, also lots of maps, which you can borrow for walking, cycling or driving around. There is free wireless broadband available in the cottage. 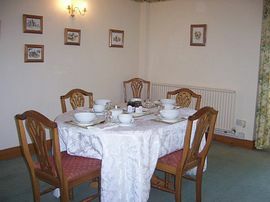 The Kitchen is fully equipped with a microwave, cooker, fridge, kettle and cooking utensils. There is also a large dining room. The pretty garden has a large picnic table, which will comfortably seat up to eight people. A barbeque is available upon request for your use. Free SKY TV, Free WIFI. Beautiful views to the Quantock Hills across open farmland. Private cottage garden, table and chairs, barbeque, beautiful views across the fields to the Quantock hills. Safe for children. Lots of space for off road parking. At the foot of the Quantock hills for walking, riding and views. Follow signs to Bridgwater, then Minehead. We are situated just before the village of Spaxton. From £875.00 per week sleeping up to 10 people. From Saturday to Saturday, throughout the summer holidays.